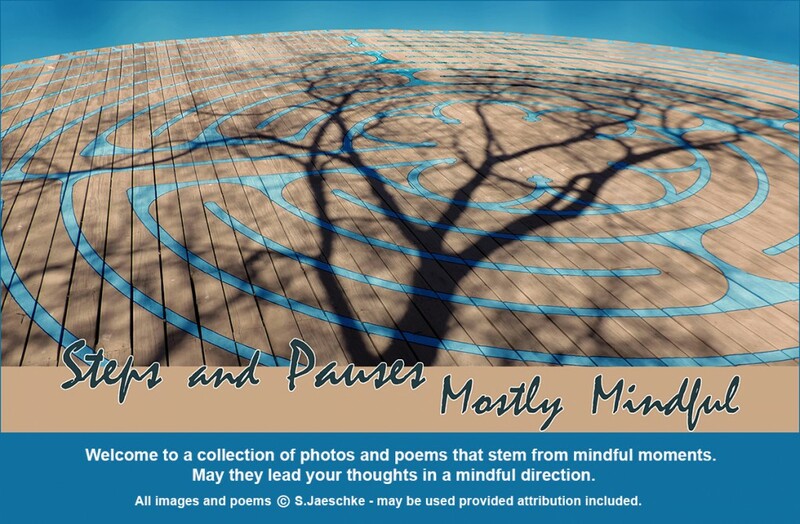 Posted on 2018-10-23 by Jazz Jaeschke	This entry was posted in Aging, Mindfulness, Nature, Plea To The Chances and tagged Labyrinths, Lone Star Flute Circle, Mindfulness, Native American Flutes, Natural Gardener, photography, Poetry, Ravens. Bookmark the permalink. Indeed. Life is a labyrinth/dense foliage/vast mystery. A prayerful meditation – so beautiful, stirring. I used to do meditation walks (seems like another life ago) and this poem stirs those memories, the feeling of being invited into another dimension/ mystery. I like how these experiences meld together–the flutes, the raven, the labyrinth–to make you reflect on gratitude and present and future. We must listen to the ravens! I enjoy how you see those opportunities for reflection, makes me pay attention in the here and now space. Thank you. A lovely scene, as well. Please tell me about it next year. I would love to go.i have attended at least one of their meetings.